PEEK a high temperature, high-performance thermoplastic special engineering plastics. 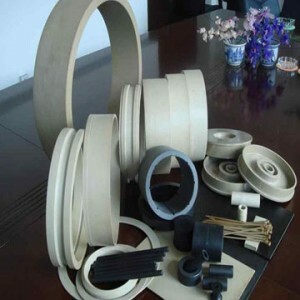 It has good mechanical properties and chemical resistance, wear resistance, hydrolysis resistance and other performance; its light weight,self-lubricating properties, due to very good processing properties, can be filled with carbon fiber, molybdenum disulfide and other to further improve lubrication and mechanical strength. PEEK engineering plastics broad application space related to aviation, machinery, electronics, chemical, automotive and other high-tech industrial sectors, manufacturing high requirements for mechanical parts such as gears,bearings, piston rings, support rings, sealing rings (letter), valves, wear ring. PEEK has a higher glass transition temperature and melting point (334 ℃), this is the one of the reasons for it in the use of heat resistance and reliable application. Its load thermal deformation temperature up to 316 ℃continuous use temperature of 260 ℃. PEEK is a toughness and rigidity of both plastic and strike a balance. In particular, the alternating stress of its excellent resistance to fatigue is the most outstanding in all plastic, comparable with the alloy material. In all plastics, PEEK has superior sliding properties, suitable for the stringent requirements of low coefficient of friction and resistance to abrasion purposes. Especially, a certain proportion of carbon fiber, graphite each modified PEEK better self-lubricating properties. PEEK has excellent chemical resistance, in the usual chemicals that can dissolve or destroy it only concentrated sulfuric acid, similar to its corrosion resistance and nickel steel. PEEK is a very stable polymer, 1.45mm thick samples, without any flame retardant can achieve the highest flame retardant standards. PEEK stripping resistance very good, so can be made of coated thin wire or magnet wire, and can be used in harsh conditions. PEEK all the resin has the best fatigue resistance. Strong resistance to γ-irradiation, more than the radiation resistance of polystyrene in the general resin. Can be made of γ irradiation dose up 1100Mrad, can still maintain good insulation capacity, high-performance wire. 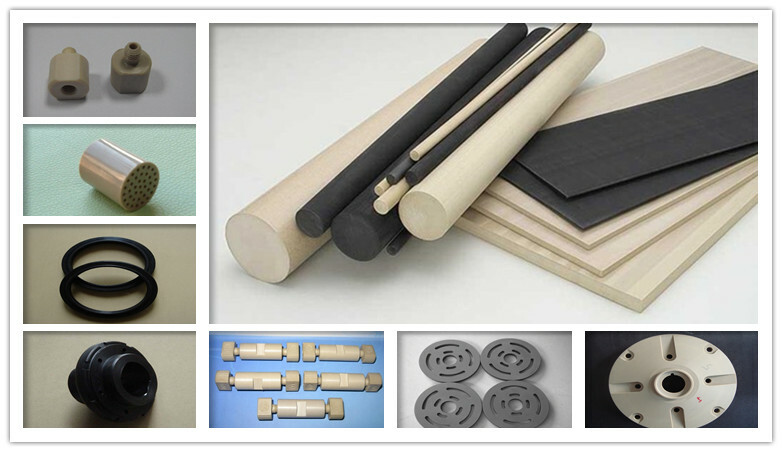 PEEK and its composites from the chemical influence of water and high pressure steam, continuous use of products made of this material in high temperature and high pressure water can still maintain the outstanding characteristics. I’ll right away seize your rss feed as I can’t find your e-mail subscription link or newsletter service. Do you’ve any? Please let me understand so that I may just subscribe. Thanks.